A Cat’s Song Without Words is a liuqin concerto composed by Su Wen-qing who was inspired by his cats, Mimi and Kitty. The musical imagery shows the behavior of the cats and the intimate relationship between the cats and their owner. The work is divided into three movements. 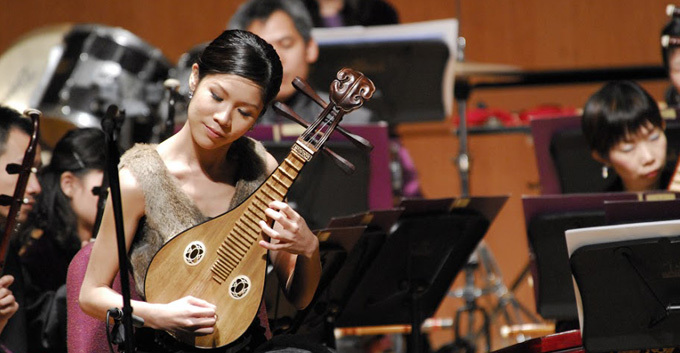 In the first movement, “light-footed kitty cats” the resonant sound of the liuqin and the crisp sounds of the muqin (xylophone) harmonize and echo each other. This movement reveals a new technique of the liuqin, and suggests the playful movements of the kitty cats. 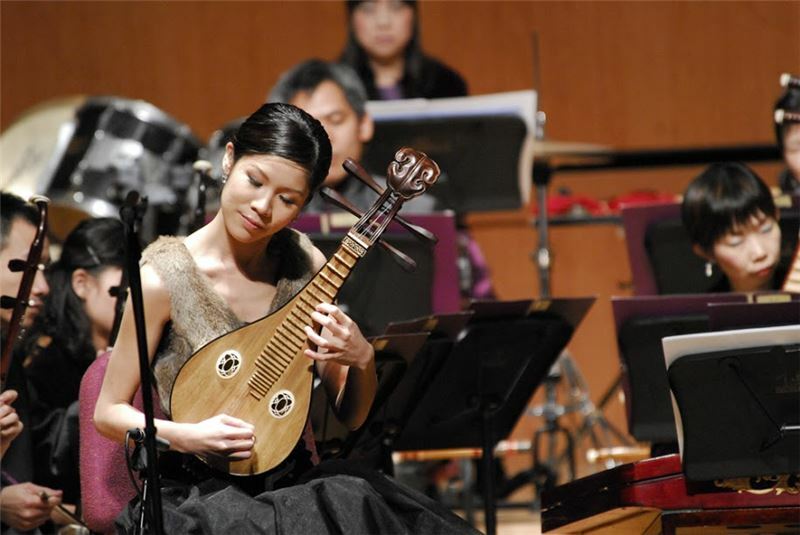 In the second movement, “Princess Cat,” the swirling sounds of the liuqin are highlighted, and the melodic ditty reveals the composer’s affection for his cats as if they were his children. The liuqin’s unique sound reveals the gracefulness of Mimi the kitty, who is just like a princess even when she runs about playfully. In the third movement, “Cats Playing and Chasing,” the composer has the liuqin compete with the orchestra to mimic the two cats as they chase each other in the living room as if it were a sports field. The whole piece is performed with vigor and liveliness.